This is a mahogany Queen Anne style tea table. 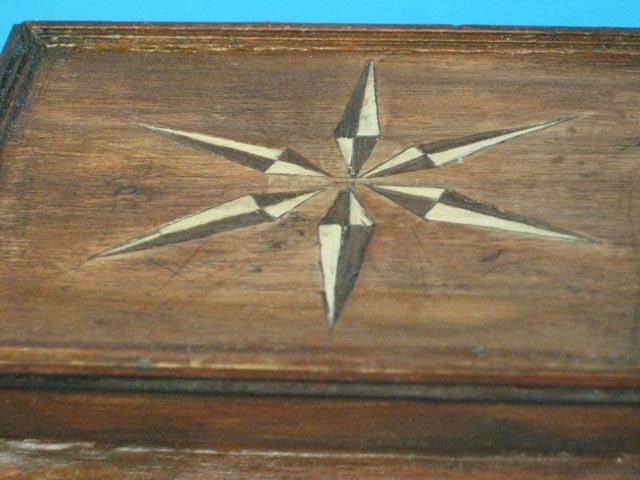 it features an inlaid marquetry top with a nautical motif, the inlays are maple and walnut veneers. this table stands 5 inches tal x 3 x 4.
to order a custom size please email me for a quote.